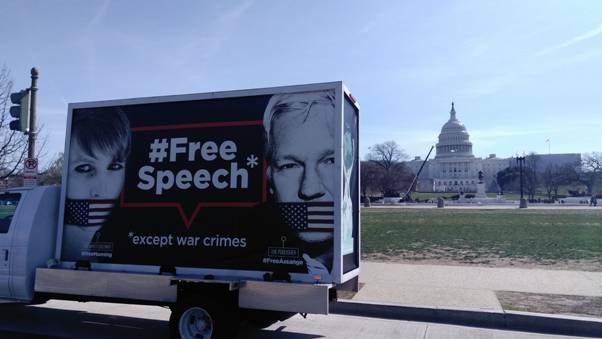 Why Julian Assange is being silenced? Suzie Dawson is a journalist, activist and head of the New Zealand Internet Party and was co-founder of the #Unity4J movement. Bill Binney was an NSA crypto-mathematician, who became a whistleblower after having worked at the National Security Agency (NSA) in excess of 36 years. As Technical Director of the World Geopolitical and Military Analysis Reporting Group, Binney mentored some 6000 technical analysts that eavesdropped on foreign nations, collecting private phone calls and emails for NSA databases. However, with the expansion of the Internet during the 1990s and the explosion of communications that went with it, it quickly became clear that NSA could not keep up with, and effectively analyze, all the new data available. Working in the SARC, Binney and Wiebe both realized this was a dangerous vulnerability for NSA and the country. As Technical Director, Binney developed a revolutionary information processing system called ThinThread that could effectively isolate and streamline data in the new Information Age. More importantly, it could filter out all types of irrelevant data, thus eliminating the need to forward and store large amounts of information for subsequent analysis. To ensure the privacy rights of American citizens were adequately protected, Binney and his team installed an “anonymizing” feature to ensure Fourth Amendment protections for the communications of U.S. citizens. Arguably, ThinThread could have detected and prevented the 9/11 terrorist attacks, but NSA officials ignored the program in favour of Trailblazer, a program that not only ended in total failure, but cost taxpayers billions of dollars. Concerned over national security, Binney and Wiebe blew the whistle on the mismanagement over Trailblazer, using internal channels to share their concerns with Congress and the Department of Defense Inspector General (DoD IG). Despite their efforts, no one was held accountable at NSA for one of the worst intelligence failures in history. Little did they know at the time, Binney and Wiebe would face harsh retaliation from NSA for their efforts to make the truth known. After the failure of U.S. intelligence to prevent the events of 9/11, the NSA wrongfully applied a component of the ThinThread system to illegally spy on the private communications of U.S. citizens. Unable to stay at the NSA any longer in good conscience, Binney and Wiebe retired in October 2001. After retiring, Binney and Wiebe continued to blow the whistle from outside the agency. GAP provided Binney and Wiebe with legal advice on whistleblowing matters and assisted them with media and public advocacy. Since that time, Binney and Wiebe have made several key disclosures crucial to the ongoing public debate about America’s national security state, such as the first public description of NSA’s massive domestic spying program, Stellar Wind, which intercepts domestic communications without protections for US citizens. Binney revealed that NSA has been given access to telecommunications companies’ domestic and international billing records, and that since 9/11 the agency has intercepted between 15 and 20 trillion communications. Binney further disclosed that Stellar Wind was grouped under the patriotic-sounding “Terrorist Surveillance Program” in order to give cover to its constitutionally-questionable nature. Daniel Ellsberg is an American writer, activist and former United States military analyst who, while employed by the RAND Corporation, precipitated a national political controversy in 1971 when he released the Pentagon Papers, a top-secret Pentagon study of the U.S. government decision-making in relation to the Vietnam War, to The New York Times and other newspapers. On January 3, 1973, Ellsberg was charged under the Espionage Act of 1917 along with other charges of theft and conspiracy, carrying a total maximum sentence of 115 years. Due to governmental misconduct and illegal evidence-gathering, all charges against Ellsberg were dismissed on May 11, 1973. Ellsberg was awarded the Right Livelihood Award in 2006. He is also known for having formulated an important example in decision theory, the Ellsberg paradox, his extensive studies on nuclear weapons and nuclear policy, and for having voiced support for WikiLeaks, Chelsea Manning, and Edward Snowden. Ellsberg was awarded the 2018 Olof Palme Prize for his profound humanism and exceptional moral courage. WASHINGTON – After seven years of self-imposed exile, WikiLeaks founder Julian Assange was arrested inside the embassy of Ecuador in London Thursday on charges of conspiring to hack government computers in what prosecutors called the largest compromise of classified information in U.S. history. 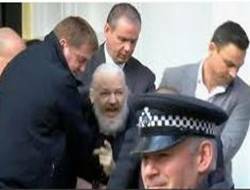 Assange, 47, was arrested Thursday moring at 10:00 o'clock by authorities in the United Kingdom to be extradited to the United States. Early Thursday, WikiLeaks founder Julian Assange was arrested in London and is now facing charges in the U.S. for helping Army whistleblower Chelsea Manning hack a government computer. We reair part of our 2015 interview with Assange from inside the Ecuadorean Embassy, where he had sought asylum. Newsletter N°63 continued . . .